We saw them all on the red carpet last night and last week and we all love how flawless their skin looked and we want to know how to get the looks. I woke up this morning to people pinging me on Facebook asking me what color did Angelina have on her lips? And what color red does Kerry have on hers? Can black women really wear red? **The answer is a resounding yes! ** I wear the color all of the time. Or how do I get Kate Mara's eyes? 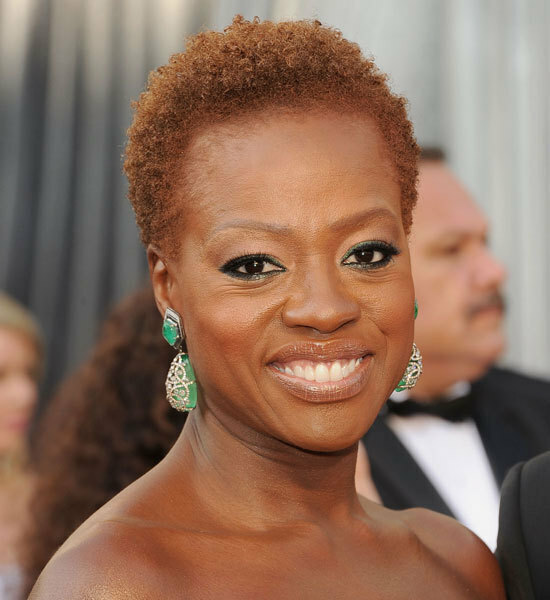 And that neutral look that Viola had is haute! What do I need to use to get it? So to help you all along, I put together a board with all of their looks. Let me know how they work out for you. Happy Marvelous Monday! 1 comment on "Get Their Red Carpet Looks"